It is a perfectly normal thing to have a yacht owner hand over the responsibility for the repairs, routine maintenance or even total restoration of a yacht to a shipyard. While this is in fact the more common practice, it is also possible to have a yacht owner decide to get very involved in the yacht restoration, repairs or maintenance process. There are one of two reasons why a yacht owner may decide to handle some aspects of the yacht’s repairs. First, this can be a major cost saving decision. Certainly, cutting off the need to pay to have the work done by someone else will surely save cost. Secondly, when a yacht owner handles the job by him/herself, s/he gets to know the ins and outs of the yacht in more detail. Yacht Restoration or Repairs – Why Would this Be Needed? If you look around today, you will see how things are quickly evolving. The same is applicable here. An owner may demand that certain refitting or upgrades be made to bring the yacht up to trending designs or simply to meet the owner’s current needs which may be different from what it was when the yacht was first built. The above are just some of the reasons why a yacht will need to be taken to a shipyard for repairs. There are many other reasons which can include a total conversion of the yacht, a total renovation and more. The process of repairing or restoring a yacht can be very demanding to say the least. For those planning to take on this project, it is important that you understand what you are signing up for. Every standard repair yard will have the capacity to offer many different services. 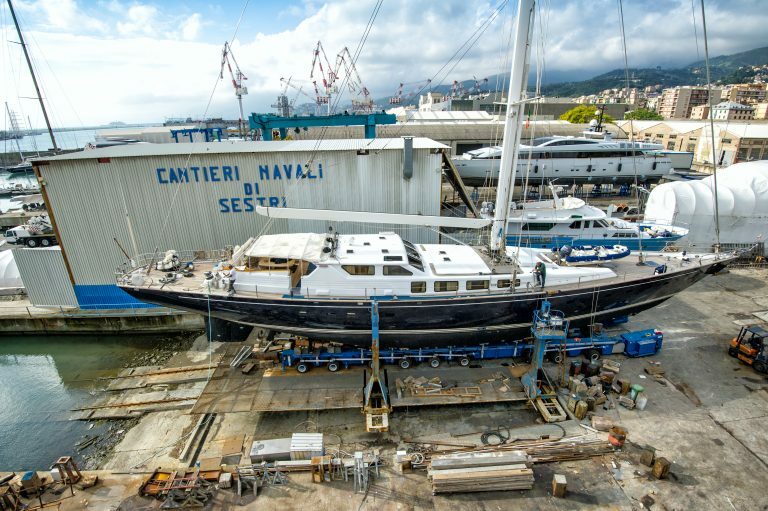 As a result of the magnitude of a yacht repair or restoration job, there is usually the need to move to different facilities to get different aspects of the job done. Ideally, any repair yard worth its salt would have the necessary facilities and capacity to handle these different aspects of the job. Be they minor repairs or major restoration or yacht renovations. 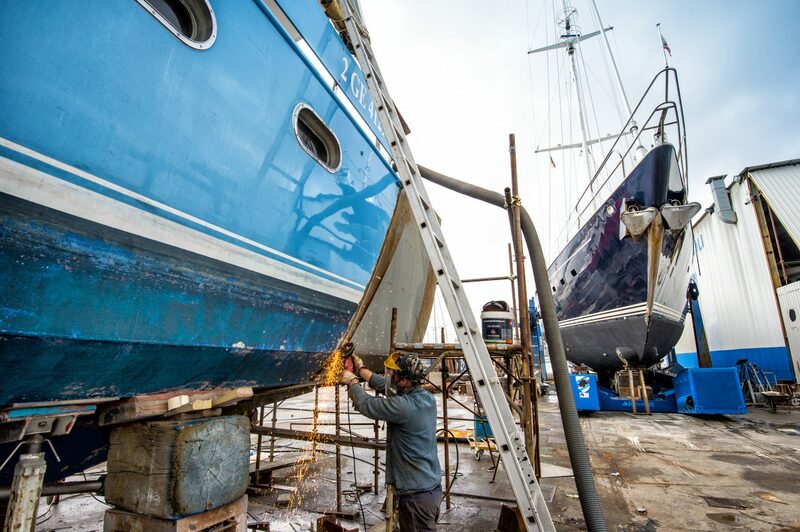 When embarking on a yacht restoration, repair or renovation project, being able to have the entire project handled in a single shipyard is something that every yacht owner should look for. Like any expert will tell you, this is very efficient and also highly cost effective. Should I Go for a Totally New Yacht or Should I Opt for the Renovation or Conversion of an Old One? When it comes to the acquisition of a yacht, there are usually two options before the buyer. You can either go for a totally new build or you can find an old yacht and have it converted and restored to your taste. First, with the level of technological advancement today, yacht restoration or renovation can be so complete and total that the finished product will in no way look like the original yacht from which it was restructured. Experts say there’s actually not limit to what you can do when converting an existing yacht. It can be extended, have its interior and exterior totally redesigned and more. The level of expertise and creativity now available is such that a simple fishing vessel or an ice breaker can be converted into a super luxury yacht. Secondly, this is a more cost effective option. Choosing the option to renovate or convert an existing vessel can cost a third of what it will cost to build a new one from scratch. Despite this huge savings, your end result can favorably compare with new builds. Lastly, choosing to build totally from scratch can mean waiting for years to have the yacht completed. On the other hand, if you choose to convert or renovate an existing vessel, your project can be done anywhere between 3 months to a few years. This of course will be determined by the extend of work that needs to be done. Watch this interesting story of a restoration job done over some years in a front yard – Restoring Shawnee. Never make the mistake of under-estimating the amount of time it will take to fully gather all the different parts you will need to complete the job. You may actually end up spending a lot of time on this. To be on the safer side, place your orders quite early because some of the items you may need are not always readily available. When budgeting, be sure to make some allowance for unexpected expenses. Be sure that unforeseen challenges might arise. This should not be a problem especially if you are mentally and financially prepared to accommodate them. When there is a decision to be made, be forthright with it. Do not dilly-dally. Take ownership and responsibility. Be smart in determining the tasks that you will handle. A wise person picks his fights well. While it’s true that handling the project by yourself may save you some money, this may not always be so. There are some aspects of the project that will be more cost effective if handled by a professional who will use the right tools and get it done faster. Try to quickly identify areas that may be more problematic than others during the project so you can give it attention. It may be wise to assume the entire project will cost more than you earlier thought. In the same vein, you should also assume it will take longer. The most important things to ensure you get right are the yacht’s structure and main systems. This should be your main focus. This is a good time to ensure all essential systems have backups. Having a redundancy of these essential equipment will make your yacht more reliable. For yacht owners handling the job themselves, you can increase your efficiency by having a store or workshop close to the yacht. Finally, you need to understand that in the marine industry, spring time is the busiest. If your project will be carried out during this time, you should try to sort out all issues regarding the commissioning of the job long before this time. You should also define all the tasks that need to be done so you will not have to be adding new tasks along the way. This is a good way to avoid extra labor costs. Now that you have your yacht in the yard for repairs or renovations, what happens to your crew? It is common practice for some key crew members accompany the yacht on this trip. In most cases this will include the captain, chief engineer and the chief steward/ess. If you are adding some new equipment to your vessel, then regard this as a great time to have your crew trained on how to use and possibly maintain such equipment. You need them to be fully up to speed when the yacht is ready to set sail again. You will usually find that most ship yards have facilities to accommodate your crew for purposes like this.